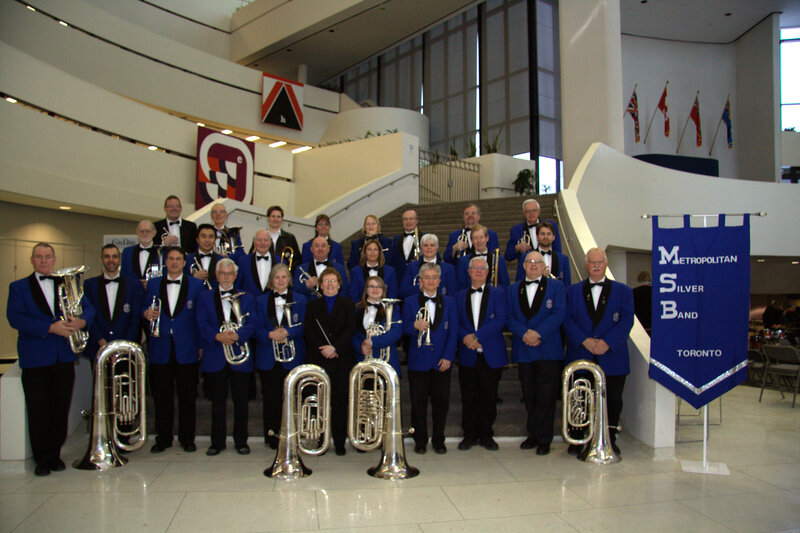 We are pleased to announce that the Metropolitan Silver Band from Metropolitan United Church in Toronto will be the guests of Georgian Shores United Church the weekend of May 31/June 1 2014. The MSB is a 35 piece British style Brass Band in the Salvation Army tradition. It is directed by Fran Harvey. The ensemble will present a concert at the church Saturday evening May 31, 2014, at 7:00 pm. Admission will be by donation. Proceeds will be directed to choir outreach activities. The Band will be leading the music at Sunday morning worship June 1 at 10:30 a.m. There will be several selections for brass band and organ, in addition to leading the congregation in hymns and worship songs. The group presents a wide variety of musical styles both sacred and secular.Originally formed in 1932, the MSB has established a reputation of musical excellence and community service for over 80 years. The Grey Bruce Community will be warmly welcomed at either or both events.